The glacimarine environment is that part of the world's seas that is affected by glaciers and ice sheets, which influence the ocean system through the delivery of sediments, meltwater and icebergs. Glacier-marine interactions are especially important in the Arctic and Antarctic today but, during colder, full-glacial conditions glaciers also affected the mid-latitude seas significantly. 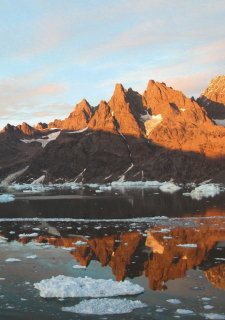 The glacier-derived sediments in ocean basins also provide a long-term record of the past growth and decay of large ice sheets. A particular focus of our work is the linkage between ice-sheet dynamics and sediment delivery to the marine environment, and the patterns and processes of glacimarine sedimentation. This often involves the acquisition, analysis and interpretation of geophysical and geological evidence acquired from ice-breaking research vessels operating in the Polar seas. Numerical models are also used to predict rates of sediment delivery from ice sheets to the ocean. In addition, we have also carried out work on land, studying raised Quaternary glacimarine sediments and also those from older Ice Ages, such as the Late Ordovician and Precambrian. Please see our listing of research seminars in Polar Physical Science. Details of current and recent research projects can be found in Polar Physical Science section of the latest edition of SPRI Review. 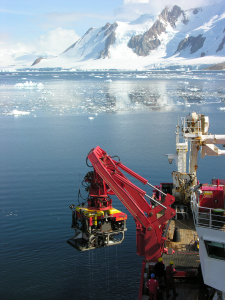 Research on Glacimarine Environments is currently supported by a series of research grants. There are no seminars scheduled at present, but you can view the archive of previous seminars.